If you arere interested in rebreathers for their silence and maximized no stop dive time, and are happy to stay within recreational diving depth limits, then the PADI Advanced Rebreather Diver course is for you. This course builds on your PADI Rebreather Diver certification by expanding your knowledge, adding a bailout cylinder, and training you to dive as deep as 40 metres/130 feet. If you are not a certified rebreather diver yet, no problem, ask your PADI Rebreather Instructor about combining the PADI Rebreather and Advanced Rebreather Diver courses. To dive deeper than 30 metres/100 feet, you must be a PADI Deep Diver. Note that qualifying certifications from other diver training organizations may apply – ask your PADI Rebreather Instructor. Through self-study and instructor-guided sessions, you’ll learn about scrubbers, oxygen consumption and bailout requirements, including how to configure a bailout cylinder system. Because rebreathers vary significantly, you’ll also study the manufacturer’s literature for the type of rebreather you’ll train on. 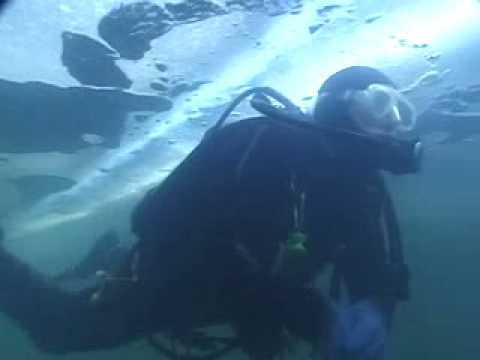 During one confined water dive and four open water dives, you’ll practice bailout and other emergency procedures, as well as planning and executing deep rebreather dives. Visit your local PADI Dive Center or Resort and get the PADI Rebreather and Advanced Rebreather Diver Manual, if you do not already have it, and start studying immediately. For this course, you need to read the manual introduction and the last two chapters. Watching the PADI Rebreather and Advanced Rebreather Diver Key Skills video will really help you prepare for your dives. Beyond your mask, fins and exposure suit, plus collapsible snorkel, if you have one, your PADI Rebreather Instructor will advise you about the Type R rebreather you’ll use. Your instructor will also fit you with a bailout cylinder system with open-circuit regulator and SPG. After certification, you’ll need to qualify if you want to use a different rebreather model because procedures vary with each model. However, you do not need to repeat the entire course. Just take a PADI Rebreather Qualifier program that focuses on the knowledge and skills needed to use a different Type R rebreather model. Your instructor will make sure that all Type R rebreathers used in PADI courses meet requirements, such as being third party tested and that manufacturers ensure their rebreathers meet a comprehensive list of requirements. Interested in technical diving? The PADI Advanced Rebreather Diver course may credit toward the Tec 40 CCR Diver course on the same rebreather. For more information, find a PADI Dive Center or Resort that offers PADI TecRec courses. Enroll in a PADI Advanced Rebreather Diver course at a PADI Dive Center or Resort. Download a PADI Medical Statement and Questionnaire (pdf).